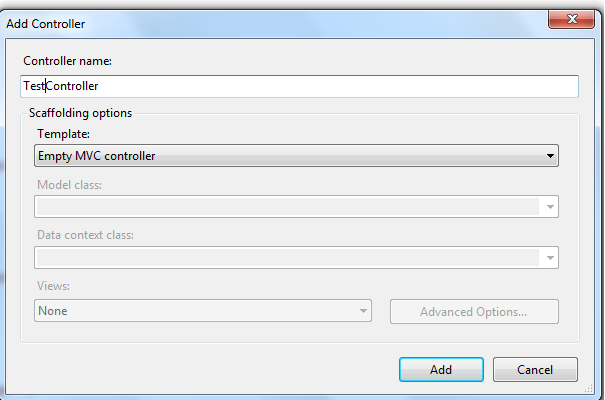 In this post we will discuss how to add a controller class in Asp.Net MVC 4 application. Also if you have created a Asp.Net MVC 4 demo using this article, then you will able to see 2 default controllers are there: HomeController.cs and AccountController.cs. Controllers are responsible for responding to user input, often making changes to the model in response to user input. Here we will see how we can add a Controller class. Remember every controller class is derived from System.Web.Mvc.Controller. Welcome to MVC World !! !